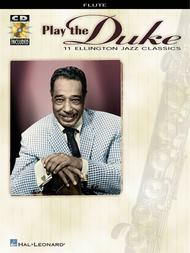 11 Ellington Jazz Classics. By Duke Ellington. By Various. Instrumental Play-Along. Jazz. Softcover with CD. 16 pages. Published by Hal Leonard (HL.841515). ISBN 0634014064. 9x12 inches. Book/CD Packs. Features 11 classics from jazz great Duke Ellington: Caravan • Don't Get Around Much Anymore • I Got It Bad and That Ain't Good • I'm Beginning to See the Light • In a Sentimental Mood • It Don't Mean a Thing (If It Ain't Got That Swing) • Mood Indigo • Satin Doll • Solitude • Sophisticated Lady • Take the “A” Train.